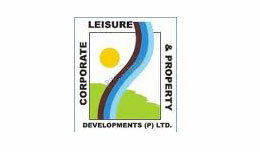 We kindly Request you to Post your Reviews on Corporate Leisure & Property Development – Bangalore. Myself Pradeep, thanks to Corporate Leisure & Property Development for making my dream home in that much small cost price with quality. In the year of 2012 I have bought a flat from them. Before few year I was booked our flat to a builder who was startup our real estate company in Bangalore. At that time I had lot of doubt in my mind like I am going right or wrong. But after lessoning their confidential voice in visit I was decided to buy a home from Corporate Leisure & Property Development only. At that time they had completed few projects which were also a good point for me to believe on them. Finally I got our home which have high standard of architect with amenities. 5. No boundary wall, useless security. Thefts happens every month. 7. USP of project, central 60ft road is not cited as public road belonging to BDA. 8. No handover of maintenance to association. Walked away one fine day with residents having sleepless night due to no water. 10. You can not have dialog with their MD. You can either listen to him or fight with him. This company have no ethics. They do one false promise after another. Thank god finally builder hired a person who could at least write english which normal people can understand. So you are a genuine buyer. Can you publish your company email id here so that we will verify? Gloria first phase was sold saying it will be ready in 2011. So when are you getting possession? I do not know who is this person who is writing bad comments sitting in USA (atleast his profile says that). As he/she said, please go to suncity, Euphoria, and other surrounding projects before you buy at Gloria. I too was mis-leaded by this group of residents who looks to be unhappy for some reason with the builder and troubling other prospective buyers so that they can create some problem to the buyer. I understood the truth when I directly spoke to the owner. He also told that he has given Police complaint against these people who are creating negative propaganda against him on the internet. I request you to go and see the project, to believe it. Before framing your mind by reading the complains online, please go and visit the owners and discuss. Suncity Gloria. CLPD. Corporate leisure. Govindacharya. Jagmohan. Sun city builders. If you plan to deal with any of the above, be prepared to be cheated. Not convinced?? See the feedback around in internet. Still not convinced?? Goto Suncity apartments and checkout their security, boundary wall, commercialization, missing maintenance. This is what Gloria will be in next 5 years. 1. Half built and construction still going on for the other half. 2. Builder controlling whole complex, trying to buy land around it. And when he buys land around, he will make that as a phase 2 and phase 3. Construction keeps going for 10 years around the apartment. 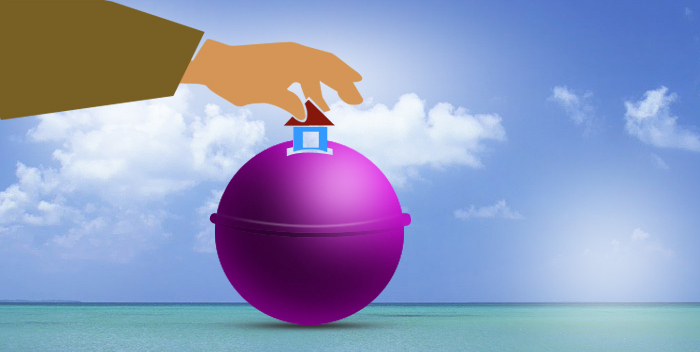 People fed up with EMIs beg for a apartment. 4. In 2025, the club house will be built. 5. In 2030, the swimming pool becomes operational. 6. Suncity builder launches another project in Bangalore. Comments that problems in gloria are temporary. 7. People are debating that Gloria was just bad luck. New project will be successful and they buy. Get out now. Run. Even if you have given advance money to the builder, leave it and run. Residents, Definately there are many negative things to talk about builder. However there must be some good stuffs to talk as well. Can any one tell at least one good thing, that they like which builder has provided ? I know, residents are unhappy with the services of builder and they don’t want others to suffer. However, the worries are about the people who have already invested money and waiting for apartment to complete by 2012. Those people are getting crazy by reading such comments. They are getting more stressed about what will happen to their hard earned maney? ?… They can not cancel the deal as well… its all their fate. I hope all the best for them and wish they will get their dream home. It is a joke of the century that a real estate builder is proclaiming himself as the “best builder”. it shows the arrogance to the core of this people. They are also showing their frustration because none of their customers will every call them trustworthy or recommend them. Please come to Suncity apartments on Outer ring road and find out the fact yourself. Please beware of the stray dogs when you walk inside this plush layout, thanks to the open boundary and the public roads allowed by the builder inside the property cheating the residents. 4. No compound wall build and builder has opened the same road promised to suncity to all his projects surrounding the complex thus making the entire suncity complex vulnerable. 5. The worst part is that the builder has started commercial ventures inside the apartments that could severly hamper the overall residential fabric of the entire place. Apart from the necessities like the pharmacy and supermarket, there is a go-ahead for a restaurant also whcih can attract outside public to within the campus. checked with suncity residents. poor response from them wrt a lot of commitments that builder has promised but not delivered. 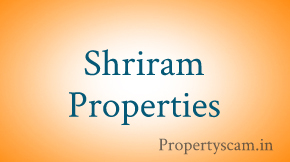 Is a real estate development corporation operating throughout Bangalore. 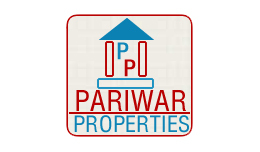 Since its inception in 2001, has focused attention on providing world-class property development in both commercial and residential side. We operate on the belief that long-term excellence in the building industry is achieved through pride in workmanship combined with maximum value and client satisfaction. We at CLPD are committed to providing our clients with a comprehensive range of products with integrity. In everything we do we aim to enhance the quality of living for at home, through our ever developing range of individual home designs and the development of eye-catching urban townhouses and beautiful new neighborhoods. We are proud of each and every home, office and commercial facility we’ve built over the years and even more proud of the trust and appreciation we have earned in the process. Actualizing the successful completion of a Real Estate Development is a process. We embrace the fact that this process is a combination of steps, each of which require professional attention in the form of experience, skills and technology. We are dedicated to satisfying our clients with a wide range of products, professional assistance and advanced information tools necessary to give them the most advantageous position possible. Yes every resident has right to express their opinion, in a proper and decent way. From what I read on your Internet site, it makes me very sad, disgusted and sorry for the people who have written such abusive language. It is pity but such use of language, only shows calibre of people staying with us. This negativity is not called from any one. If you are unhappy, my friend, please pack your bags and go. Nobody will stop you. Everyone has bought a flat for one reason or the other benefiting them. 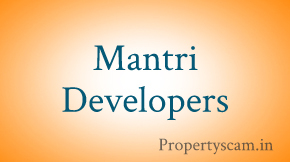 The close proximity of school for their children or the distance to their office, the wide roads, cheap price etc. Everybody has bought in Suncity, according to their convenience. Now if these things are not suiting to you then you are in the wrong place. Until now, we have had very peaceful atmosphere, I hope some of the trouble makers are not going to spoil it for all the others. We got enough of Soap Operas on TV to pass the time. This issue of water shortage, is not something new, its inherent problem everywhere in India and the world. Yes, unfortunately, it is going to affect all residents. Instead of making it issue, try to resolve the problem. The Government Water Dept. also restricts water according to their water levels and capacity. Suncity, is gait ed society consisting of approximately 5000 people and a floating population of about 1000 people daily. i.e. suppliers, workers, carpenters etc. Now if rules and discipline are not enforced then it will be totally chaotic in Suncity and very difficult to live peacefully. It’s a mammoth task. Agreed, When we bought our flats, they rightly did their sales talk by saying that they would provide a club and swimming pool. Fair enough, we at the time should have been wiser to enforce it at that time only. I believe that Euphoria has swimming pool as they have paid for it. The swimming pool in suncity is still lying incomplete for sometime. That means the builder had good intentions, otherwise he would have not bothered and would have done the vanishing trick like so many other builders in Bangalore. We got to appreciate the builders for what they are. We got to be more persuasive, sit across the table and negotiate our grievances. Being diplomatic will definitely show a more positiveness from their side too, rather than being nasty or abusive. Probably collectively the residents can donate towards the pool and the club for which a referendum could be taken. For a better tomorrow, we must learn to be humble, mature, obedient and sensible. Mr. dont be aleader here and tell that no body is happy okk i know u have a personal reasons to fight with the builder.so ur the only one hanging on the same issue. Wow!, sorry to know that I disturbed your ‘peace and happiness’ with this post. I guess many people in CLPD are also losing their sleep as well, which was the very intention of this post. Since you are not a resident of suncity you may not know this, there are tonnes of issues with this project (not just 3), have enough data to prove from many RTI responses I received. I can reveal one by one if you really want. I am getting many positive responses from residents every day for this post, so I don’t care what ‘peaceful’ people like you living in a ‘dream place’ are ‘dreaming’! Dude, it is clear that you are a real estate investor and your intention is to sell the flat and cash in. So you are not worried about these concerns. For people like us, we have invested a life time savings and planning to live here for ever. Don’t care about the bloody image that you are talking. We will shout to any level if that is the only way to get the what we were promised. You will continue to live in fool’s paradise dreaming abut the imaginary appreciation that is not many of are looking for. Good to see you are talking in some civilized language. 2. Drains have not been covered fully posing a daily risk for so many kids who walk around inside sun city. 3. Boundary walls have not been completed. Thefts reported every other day, and stray dogs have a free walk in and around sun city. May be you are still happy becuase you got some discount from the builder? (don’t give us lame excuse like there are other apartments that don’t have these facilities etc. )People buying new properties from a builder always benchmark the quality with a previous project.Nothing wrong in it. Unfortunately when Suncity was the first project from CLPD and there was no reference for us when we bought. I was also planning to buy flat by Corporate Leisure “Suncity Gloria” in Sarjapure Ring Road. For 2bkh they told ~30Lkh. they promised to give flat by 2012 march. Which includes play ground, green park, gym, club house. I saw some flats in SRR, which does not have park, proper parking place.Now I decided to back off, thanks for this post. hey u people if u dont like ur home sell it and F O…y ur simply spoiling urs and as well as others life and home here.I know u people are from slum thats y ur all showing that type of behaviour..no body wanna spoil there own image..f…rs keep quite or FO from this place..u know more than 2000 people r staying here in this suncity..only you four cant change our fate..okk..these guys r MFs of suncity please stay away from these f..rs.. I have already lost my patience and money due to CLPD Mgmt. One of the worst thing CLPD can do is allocating illegal parking lots right in front of FIRE WATER HOSE. If at all another Carlton tower or Park Street happens … water hose of any building will be inaccessible. Suncity Gloria will take another 5 years to construct, I have already sold 80% of the flats. And as usual we have no plans to provide any amenities in Suncity Gloria. Whatever is promised in the brochure and agreements is not valid, we will continue to do business like this forever, Do whatever you can..
Not sure who is this fellow from CLPD management commenting in this forum. I never knew they are worried about the concerns from residents. Most of them are only interested in Kannada film shootings that they allow to take place in suncity campus during weekends. Mr. G, what do you have to say about the open parking space in suncity, where you able to allocate parking space to 100s of residents even after 6 years!! As such the open parking lots marked on the main road is illegal as per the BDA plan. What do you have to say about the illegal parking lot you constructed below Radiance block? Your sons and acquaintances run super market, gym (cashing in on the fact that there is no club house in suncity) get a share from the milk vendor, news paper vendor etc. You also started one security agency and posted cheap laborers as security who cannot even converse to the residents, forget about stopping any thefts. 2. Drains have not been covered fully posing a daily risk for so many kids who walk around inside suncity. 3. Boundary walls have not been completed. There are thefts reported every other day, and stray dogs have a free walk in and around sun city. 4. I will never invest in any of his future projects. We lost trust in him. In short: Suncity is a good but CLPD has screwd it up. The CLPD guys (builder and his batalion) behave differently before you purchase the flat and afterwords. They lack professionalism in what they do. Not trustworthy at all. Also not worthy enough to donate your hard earned money, for so many years (Loan) that too monthly (EMI) !!! Before buying Suncity 2, Why don’t you check with the residents of Suncity 1 ( Sarjapur ORR junction ) on how is life there ?., Behind Sobha Garnet .. It’s a 7 year OLD project, Still it will look like recent one . Hardly anything completed from builder which they have promised ..
Guys never buy any apartment form corporate Leisure, the developer of suncity at Outer ring road and sarjapur junction just because they sell their apartment at lower rate. They are many reasons why they sell at lower rate. 1: They will hardly develop the amenities. if you don’t believe me then go and see amenities in Suncity. 2: They will surely delay the project by 2 years and you will end up paying 5 to 6 lakhs in EMI, rent, tax saving on principle and interest component of home loan. if you don’t trust me then go and find out yourself from guys who purchased apartment from them. 3: They will surely promise that in case of delay they will compensate rs 5000 or 6000 per month but when you ask them about it then they will show their real color. corporate Leisure, developers of suncity are big cheater. I did a big mistakes by purchasing an apartment from this builders in 2004. They promised alot when I booked the aprtment. They told me that project will have swimming pool, tennis court, children’s park, super market, free GYM and club house. Six years have passed and not a single promise made by them have been met. There is hardly anything in the name of security. anyone can easily enter the campus. builders are arrogant and illetrate. expect 2 years or more delay in almost all project. Never buy any flats from Corporate Leisure. They own the Suncity Apartments on Sarjapur Road. People who bought their flats 5 years back haven’t got anything as per the promises. We were promised children’s park, Tennis court, club house etc. Sadly we don’t even have a party hall to conduct birthdays. Builder is a cunning fellow and he has long term plan on this location. He has not even secured the property with boundary walls.This place is poorly maintained and this builder is not at all professional; It is owned by some illiterate fellows.Builder has started many commercial establishments inside this campus and is reaping lot of money. Builder owns the security Agency inside the apartment complex, his own people sells milk, newspaper,runs a super market and a gym. His sons and rowdy gang controls the entire complex.He has not handed over the maintenance to the association, it makes sense for him considering the assured revenue stream from 1200 apartments. Anybody questioning him, he threatens saying he has all government officials in his pocket. So people are scared to do anything.He has violated the BDA plans and constructed several illegal parking spaces.Suncity apartment does not even have a proper security gate. Recently they have launched a new project near Decathlon on Sarjapur road called ‘Suncity Gloria’. Never buy this property please. Please visit the original Suncity project on sarjapur road and see yourself. You will risk your investments if you listen to their promises and buy. Corporate leisure & property developments pvt ltd is a fraud guys. The residents of Suncity are being looted by this guy. His son runs the super market, gym and security agency inside this campus. He gave scant regard when people figured out the violation in parking lot constructions. Everyone should isolate this guy.